After completing the ladder drills, do these exercises before starting the speed and agility drills. Keep good form throughout exercises and then add weight or speed. Players need to be warm to perform these drills. 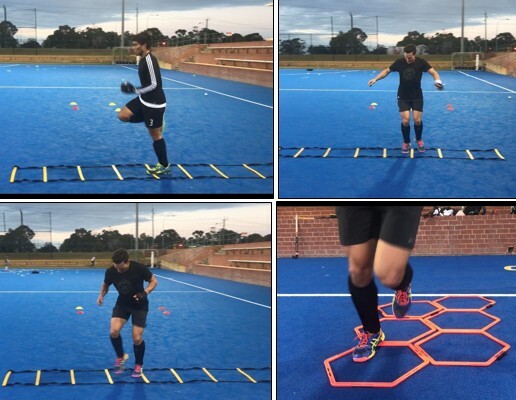 Agility exercises is an area of hockey that we need to focus on, as the game requires us to lunge, change direction and suddenly stop and start to make a tackle or interception. NB- these exercises are not intended for workout beginners or those recovering from injury. Focus on doing these exercises 2/3 times per week and make sure that there is at least 72 hours of rest between doing the same session again. Setup: Place four cones out on a field in a T- Formation. The cones should be spaced out 5m from each other. 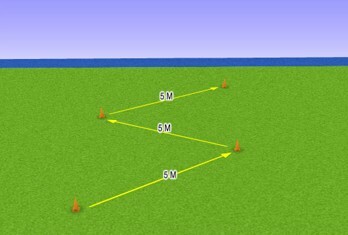 1A) Sprint to the first cone and then side shuffle to the right and back to the middle and then to the left cone. Your partner will hold the rubber band that will be looped around your waist, your partner will apply about 60% Resistance with a rubber band. Setup: Place cones 5m apart in a zig- zag pattern. 1A) Your partner will hold you back and move in a opposite direction to which you are moving. Control the ball on your stick and make sure that you are aware of the ‘push off’ foot. Set out a few different drags and skills for player A to do whilst player B is holding them back. Once he has successfully got through the cones the exercise will start again. Player B is trying to hold player A back as much as he can. Set out 3 cones. The first cone should be the start the second cone should be where player A lets go of the band and where Player B should stop. Player A should run to the third cone. Player B will loop the band across his waist while player A will firmly hold the band. Player B will sprint forward and player A will use the spring of the band to propel forward. Setup: Have partners facing each other and standing 5m apart. 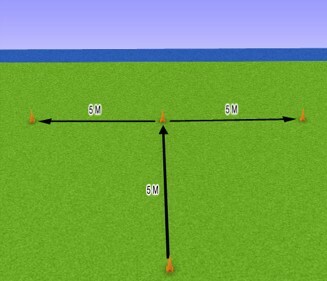 Set out 3 cones in a straight line, 3m apart. Player A starts with the ball while Player B will start in the middle of the cones. 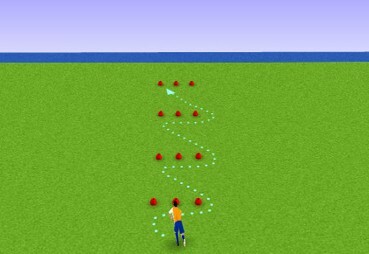 Player A can choose to throw the ball left or right of Player B. Player B must try and catch the ball before the second bounce. Add resistance with the band. Setup: Falling Starts – attach the parachute to your waist. Start with feet together. Lean forward until you feel like you are about to fall and at this point, accelerate into a full sprint over 10m. Advance to stick and ball.